A nickname miners used for lunch was ‘Snap’. When miners went underground into the coal pit they ate their "snap" near to where they were working. 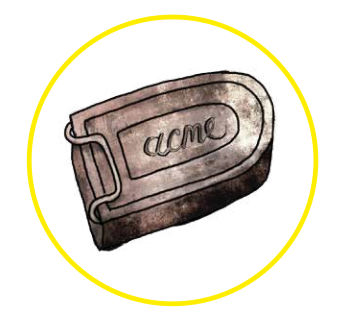 Miners carried food in a metal snap tin attached to their belt. 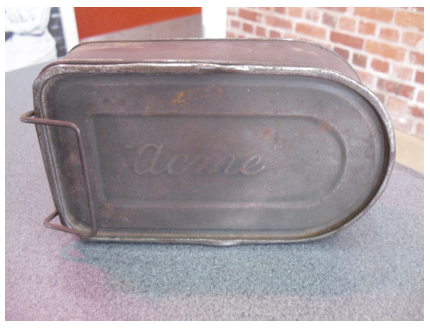 This tin was shaped like a slice of bread so it was just the right size for sandwiches; it had rounded corners and was waterproof as well as being strong enough to take bumps and knocks, although its main purpose was to protect the miner's food from pests like rats and mice. A miner's diet usually consisted of bread and dripping (mucky fat) or bread and jam. Other types of food were either too expensive or went off quickly in the hot conditions underground. Coal dust made the miners fingers dirty so dirty bread crusts were discarded.